ORAPEX is the Ottawa RA Centre Philatelic EXhibition. 2019 will mark the 58th edition of this show, which is managed by volunteers drawn from the RA Stamp Club, the Amicale des philatélistes de l'Outaouais, the Ottawa Philatelic Society and related philatelic societies and organizations. 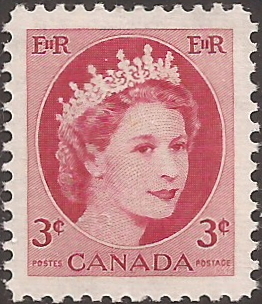 ORAPEX is one of only a few national-level stamp shows held annually in Canada and is part of the American Philatelic Society's "World Series of Philately." For travel info, click the 'Directions' button above. Please book your accommodations early, as this is a busy weekend! For further information, email us or click on the 'Resources' button above. Each year, ORAPEX has a theme. For the 2019 show, the theme will be Elizabethan Era Philately. ORAPEX boasts about 40 stamp dealers in its bourse and runs an impressive series of society meetings, seminars and study groups. Bring your children to the Youth Booth to get them started on collecting! The show's awards reception is a highlight of the weekend and a great chance for everyone to socialize after the exhibits have been judged. (Awards Reception tickets will be available at the Welcome Booth at the show.) Please join us as we celebrate philately -- the hobbies of stamp collecting and postal history collecting.